Welcome to the London Teapot Company. We supply the CHATSFORD teapot – a design that incorporates a custom fitting removable fine mesh strainer, which makes the preparation of loose leaf tea simple and convenient for your everyday use – as well as the CHATSFORD mug infuser that enables loose leaf tea to be made easily in a mug. Read about the detailed benefits of using these here. 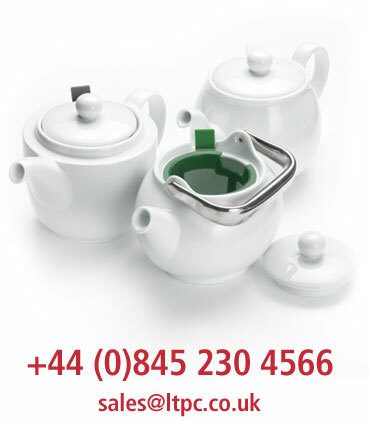 We make these CHATSFORD teapots in a variety of ceramics, suitable either for home, cafe / bistro / restaurant or hotel use. Please see here for the product ranges available that will suit your own particular requirement. For our full contact details to hear how you can order these items direct from us or through one of our distributor partners around the world, or for any other information, please see here .